Following a look at the Danish Organic system and how it has achieved the successes it has, a panel of international experts discussed how UK Organics can learn from such experiences abroad to achieve similar and greater successes on home soil. 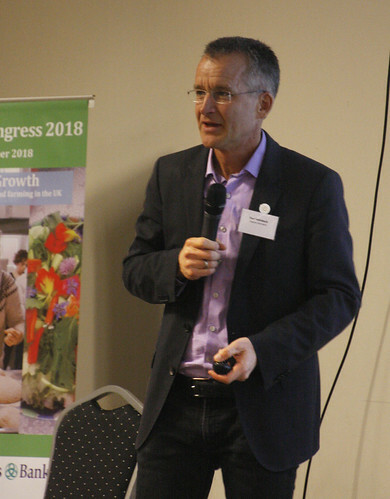 The scope for growth in UK organic was reinforced by Paul Holmbeck, Political Director of Organic Denmark, who presented the remarkable progress of the organic sector in Denmark. “Organic food now accounts for 13.3% of the total food market in Denmark and over 30% of the total market for eggs, milk, flour and bananas. “More than 90% of public procurement of food in Copenhagen is now organic, with 60% an overall target for the country,” said Mr Holmbeck. Roger Kerr, CEO of OF&G, concluded the closing plenary by calling for more efforts for greater unity in the UK, and for the positive achievements of organic farming to be emphasised without denigrating others.